Hello everybody! 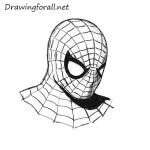 It’s drawingforall.net, with a new drawing lesson that we had prepared for all fans of the Marvel Universe. Today we will draw one of our favorite Marvel characters. Brutal superhero with a good sense of humor. 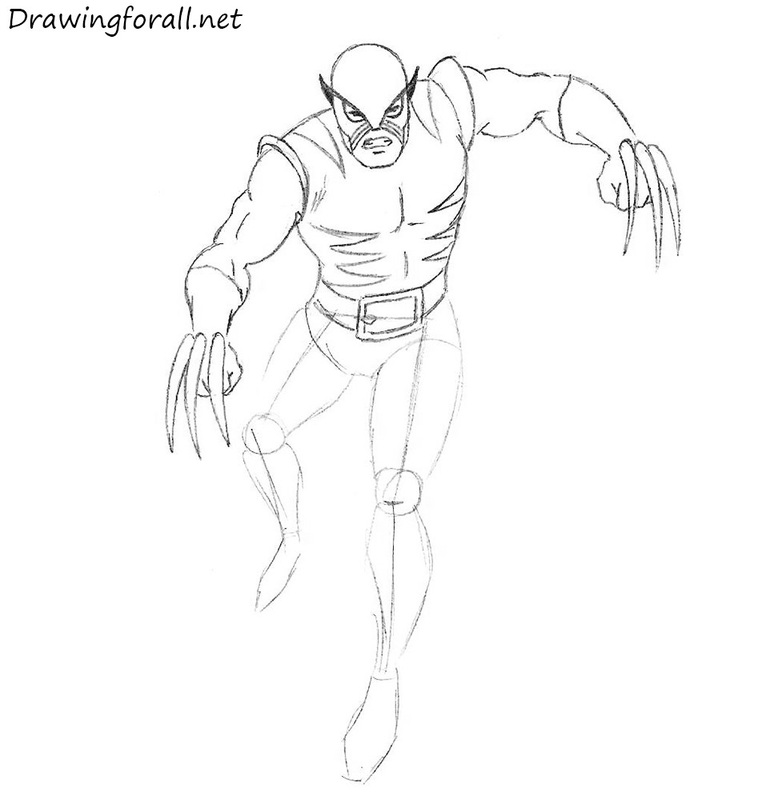 As you may have guessed, we will draw Wolverine. 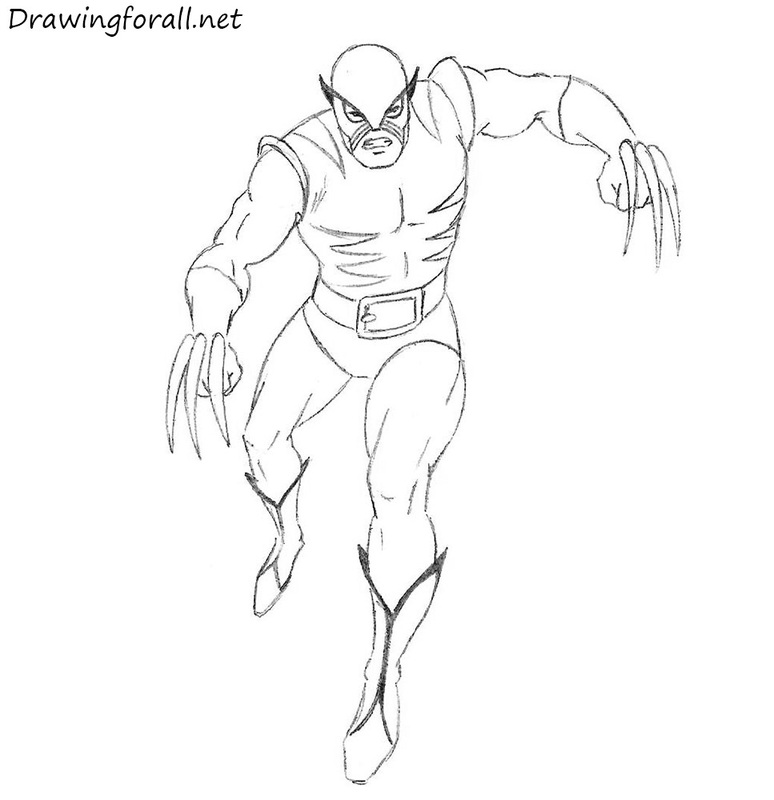 In one of our previous lessons we already drew him – visit the tutorial on how to draw Wolverine. 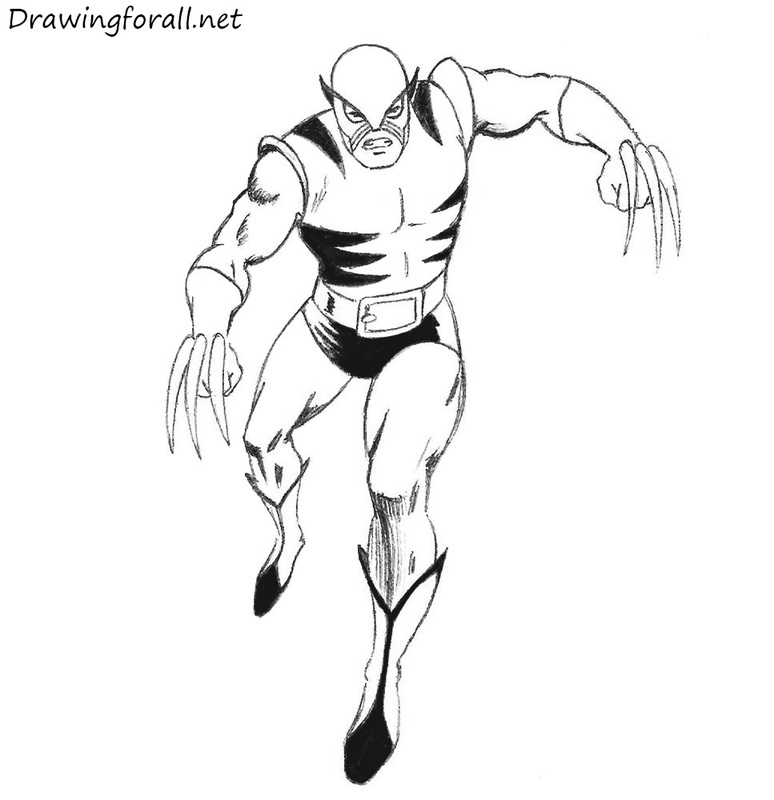 In that tutorial we drew classic wolverine in the yellow suit. It is the best-known suit that he wore in most of the issues of the magazine. But perhaps, not everyone knows that it is not the first Wolverine’s suit. And today we are going to draw wolverine in the original suit, in which he was dressed in The Incredible Hulk # 180 in 1974. 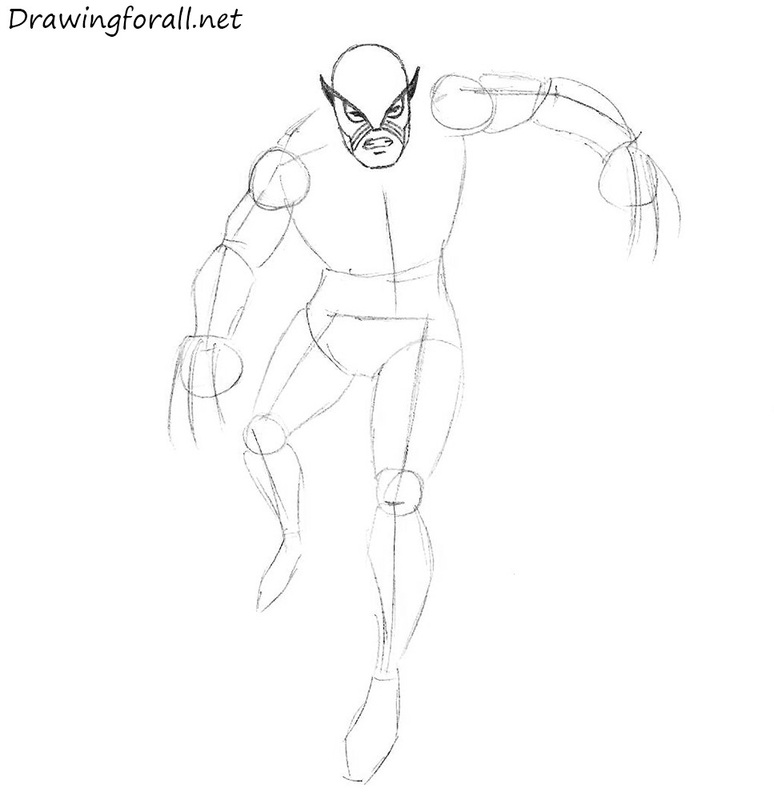 So let’s start this tutorial and learn how to draw original Wolverine! 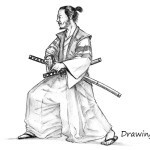 In the first step we have to sketch out the posture of the character and his position on the paper. To do this, draw the man made of circles and lines. At first draw an oval. 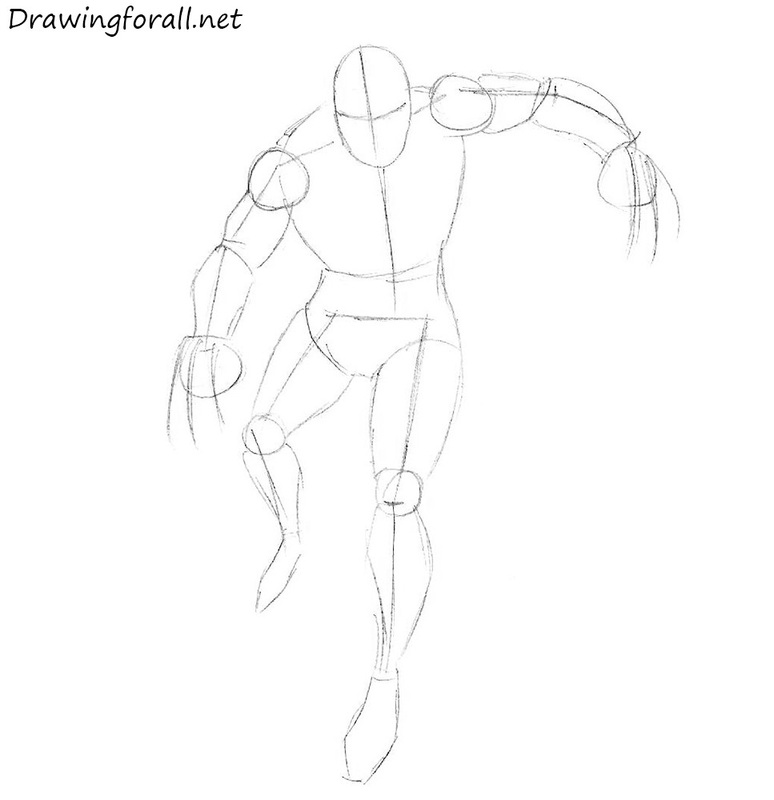 Then draw a line of the spine, arms and legs. Note that the neck is not visible due to the fact that the head is tilted downward. This is the first step, and in the next steps we will erase all these guidelines. In this step we will add some “meat” to the “bones”, that is, add the volume to the figure. First draw the lines of the facial symmetry. The vertical line divides the face into two parts and will help us to find the centre of the face. The horizontal line also divides the face into two parts and will help us to draw eyes. Then, using the lines from the previous step sketch out the parts of the body. Using cylindrical shapes draw the torso, arms and legs. 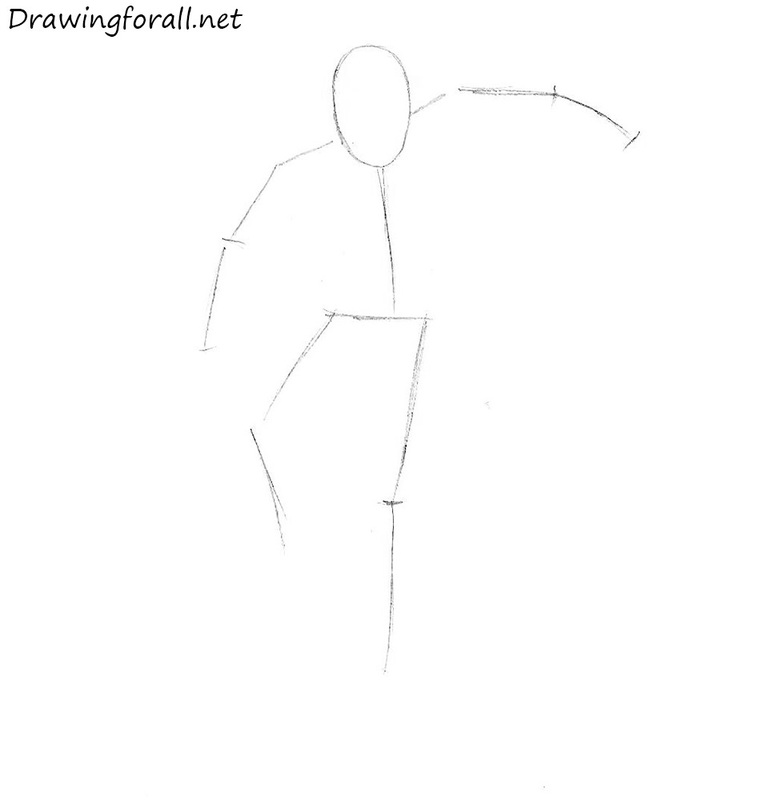 Draw shoulders and knees using circles. At this step you also do not need to press down on the pencil too hard. Using the curved lines outline the “ears” of the mask. Using the horizontal facial line from the previous step draw the opening for the eyes. Using the horizontal facial line from the previous step draw the opening for the eyes. Slightly below draw the opening of the face and sketch the mouth. At this step we will finish to draw the face. First draw the line of the jaw. Darken the “ears” and draw eyes in the openings. Highlight the lines of the mouth and draw strips around the opening. 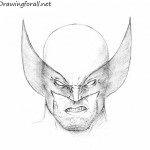 To learn to draw the face perfectly, we recommend you to visit our tutorial on how to draw Wolverine’s head. Start to add details to the torso. First erase all guidelines and highlight the shapes of the torso. Draw the belt and strips on the suit. In the final step we will paint over these strips in black. Erase guidelines of hands. Add muscles to the hands. First draw deltoids. Slightly below the deltoids draw biceps and triceps. Draw the muscles of the forearm that taper to the wrist. 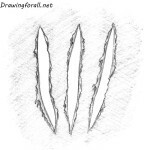 Draw claws. 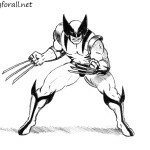 In this version of Wolverine’s suit claws are very thick, unlike the classic suit. 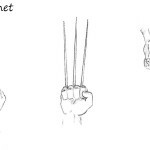 By the way, you can visit our tutorial on how to draw Wolverine’s claws if you want learn to draw them perfectly. This step seems complicated, but actually it is not. First, draw the pelvis and sketch the lines of shorts. Carefully draw the line of the leg muscles – the hamstrings, quadriceps and calf muscles. Notice how the legs are expanded in the middle of the thigh, then taper in the knees, then expanded in the area of the calf muscles and again narrowed in the ankles. Draw the lines of shoes. If you did everything correctly, you will have the same drawing as we have. If the picture does not seem too good, do not worry. Just train, until you reach perfection. 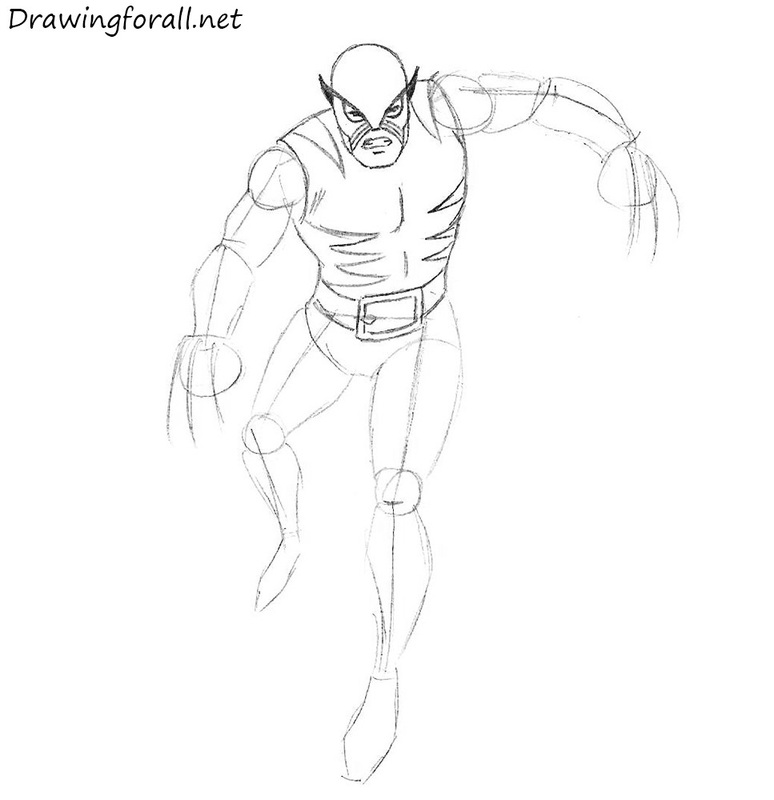 At the final step in the tutorial on how to draw Wolverine we are going to add shadows. We will draw the shadow classic comic way. That is, we will apply a very contrasting shadows. In this drawing we have shadows in the area of hands, shorts and legs. The same way we applied the shadows in tutorial on how to draw a Scarlet Spider. Do not forget to paint over the strips on the suit. So, Wolverine ready! So, in this tutorial we showed you how to draw wolverine step by step. We hope this drawing lesson was interesting and informative for you. Share this lesson with your friends and subscribe to us on social networks!